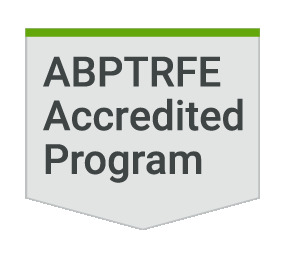 Creighton University Department of Physical Therapy’s ABPTRFE-accredited residency programs provide post-professional clinical residency education in specialty PT areas; pediatric, orthopedic , women’s health, neurologic, and geriatric. Resident experiences include clinical practice, clinical mentoring, teaching in the specialty area and opportunities for research and scholarly activity. The residency program is one year in length. Each program contracts with different community partners to provide the clinical work site and clinical mentorship. Residents participate in a Common Core Curriculum, which includes topics that are relevant for all PT residents and OT fellows within an academic curriculum in their specialty area. Interprofessional opportunities are incorporated in the academic curriculum and clinical practice. Explore more benefits of the Creighton PT resident experience. The Creighton University Physical Therapy Residency Program is committed to advancing the profession in specialty areas of practice through the formation of physical therapists who excel in clinical reasoning, clinical practice, value-centered teaching and patient advocacy. The program fosters an environment of excellence for the professional formation of mentors and mentorship as a critical component of advancing residency education.